The upper respiratory tract is colonized by several bacterial species that make up the normal flora. Although these commensal organisms can cause disease in certain situations (e.g., in immunocompromised persons), they generally serve a protective function by limiting the growth of other pathogenic bacteria in the respiratory tract. In the lower respiratory tract (LRT), macrophages that can clear foreign particles reside within the alveoli and serve as the final defense against infection. Pneumonia occurs when pathogenic organisms establish an infection in the LRT as a consequence of depressed host response and/or invasion of the LRT by highly virulent organisms. Bronchopneumonia, which usually involves consolidated areas of acute inflammation of the small airway alveoli. Lobar pneumonia, a more extensive disease than bronchopneumonia in which consolidation occurs in large portions of a lobe or in an entire lobe. 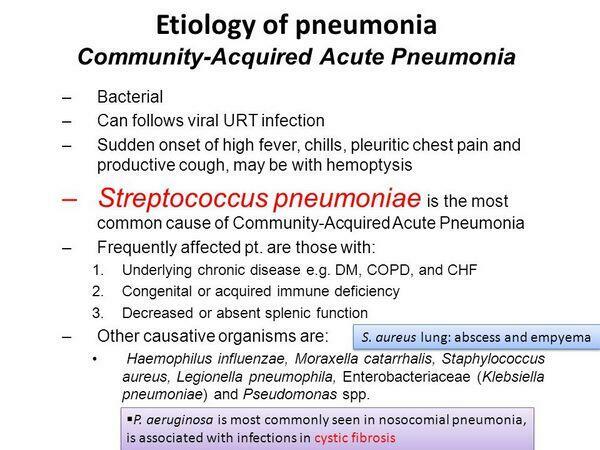 This form of community-acquired pneumonia can be quite severe and can have an impact on the future function of the affected tissue. Interstitial pneumonia, characterized by inflammation in the interstitium, the soft tissue between the alveoli. Likewise, pneumonia can be classified clinically as "typical" or "atypical," according to the presenting symptoms. The classical clinical presentation of typical pneumonia includes fever, cough with sputum production, pleuritic pain (pain on inhalation), and chills. Atypical pneumonia is associated with any number of systemic symptoms, including myalgia (muscle aches), and headache. With either type of pneumonia, confusion and personality changes attributed to hypoxia (below normal levels of oxygen in the blood and tissues) can occur in the elderly. Often, patients with atypical pneumonia may have only mild respiratory symptoms. 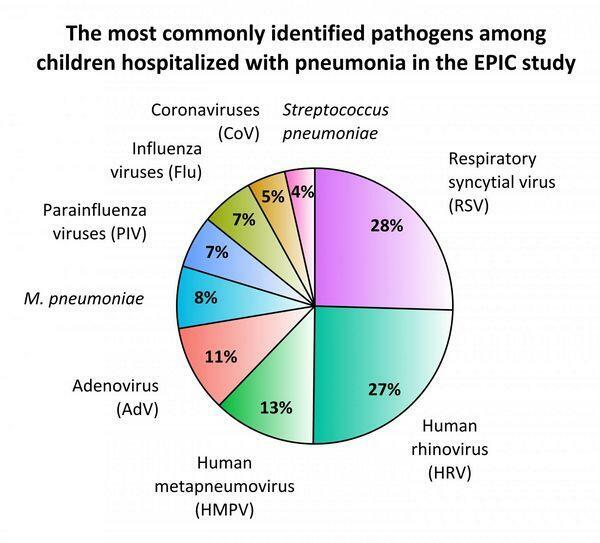 Pneumonia due to infection with so-called atypical pathogens can present as typical pneumonia, and atypical pneumonia can be caused by bacterial pathogens thought to cause only typical pneumonia. Presentation of disease may depend not only on the pathogen causing the disease but also on the host. 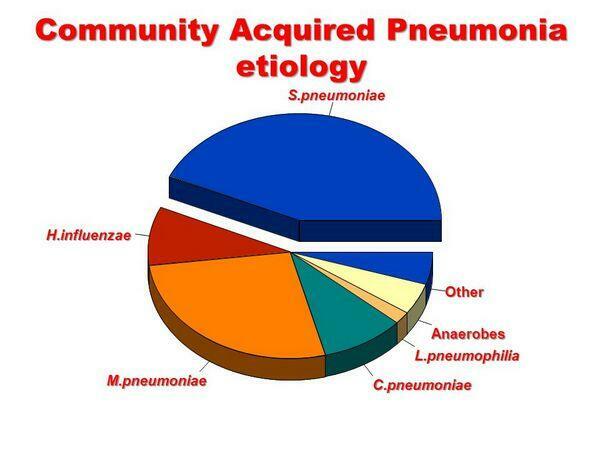 How Is Community-Acquired Pneumonia Treated?